Questions about Kichler Lighting 65363? Bold and striking, this 3 light fixture from the Bryce collection makes an unforgettable statement with clean lines and strong geometric shapes. 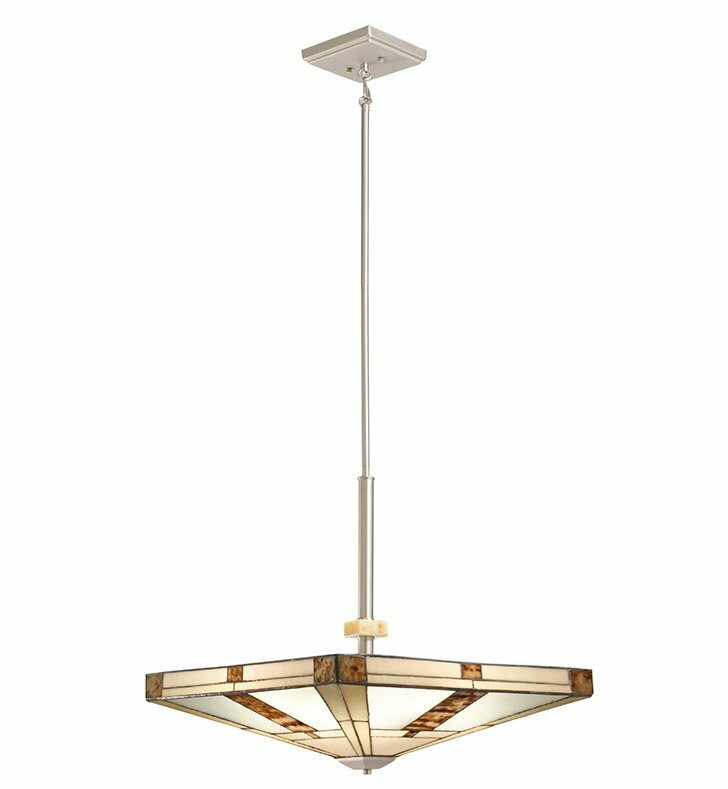 A versatile piece, this item can be installed as an inverted pendant or semi flush ceiling mount. A Brushed Nickel finish offers a fresh contrast to the prominent Tiffany-style glass and earthy color pallet. Bring casual style and instant intrigue into your home with this design. Sloped ceiling kit included. Dimensions: H 20 1/2" x W 20"